Expand search to view more listings in and around Pine Brook. See more offices in and around Pine Brook. Offices.net has 1 Pine Brook executive office building with a range of temporary office space currently available for immediate occupation on flexible rental terms without the commitments and high overheads of conventional commercial real estate leases. Our perfectly positioned offices are situated in prime Pine Brook, NJ business locations and benefit from a wide range of services and amenities. We offer businesses of all size the simplest, quickest and easiest way to secure professional office space in Pine Brook, New Jersey. Our office space and business premises come with a wide range of services included, and flexible rental agreements that are tailored to suit you. Our aim is to ensure that the whole process is as easy as possible for the companies we assist. Many of the business centers that we feature offer offices that are fully furnished and equipped, making setting up a very easy process. Some of the serviced offices can also be configured to meet the specific needs of your company. Many office providers will customize the space for you and even give you the freedom to decorate to give you more control over your environment and branding. We would love to help you find your perfect work environment. 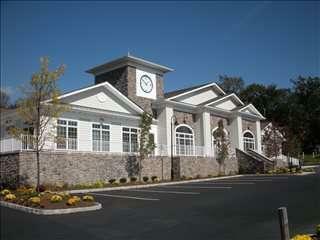 Simply choose any of the offices for rent in Pine Brook displayed above. All of the office space listed on Offices.net is in an ideal business location, and is available for immediate rental on flexible terms. Need help with your office space search? Simply get in touch using the number or form above and we'll be more than happy to recommend some offices in and around Pine Brook. All we need to know are your essentials; the number of desks you need, your individual business preferred locations and your budget.